Andrew Grose’s unique and hilarious observations of life as a husband and father has landed him headline spots across North America and around the world. He is the perfect entertainment for Business Events, Private Events, Corporate Events, Charity Events, Fundraisers or Conventions. For over 2 decades Andrew Grose has charmed countless audiences with his hilariously relatable material and quick wit. He’s appeared on some of the most prestigious stages in Canada from Montreal’s Just For Laughs to the Calgary Stampede Grandstand Show. He’s performed on countless television specials and at all the major festivals in Canada including the Edmonton Comedy Festival which he’s produced for the last 9 years. 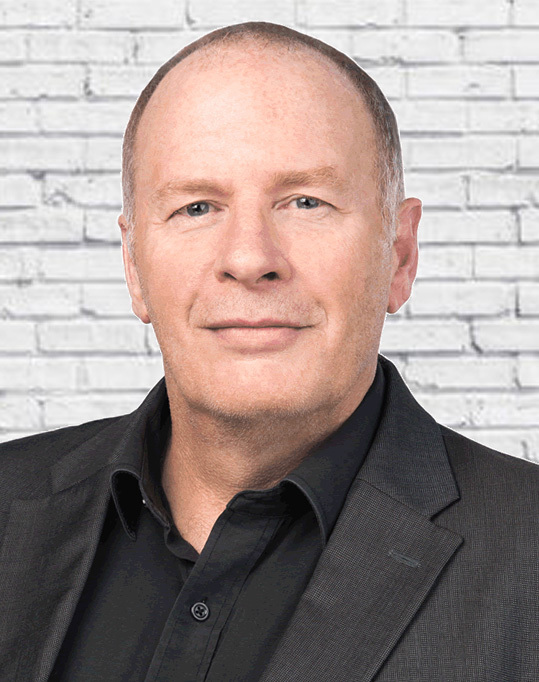 For the past 7 he’s been the co-host of one of the most popular weekday radio shows in Edmonton while still performing comedy every weekend at corporate events. In 2019 he decided to hang up the radio mic and return to stand-up comedy full time. He is the perfect entertainment or emcee for Business Events, Private Events, Corporate Events, Charity Events, Fundraisers or Conventions.
" The time Andrew took to prepare and understand what the event was all about and tailor his message to the event paid off. Our event was about customer service and the goal was to let staff know to focus on exceeding expectations when perhaps the customer is not being the most reasonable. Tough subject to a diverse crowd, we thought the humorous approach would be the way to go. Andrew exceeded our expectations." 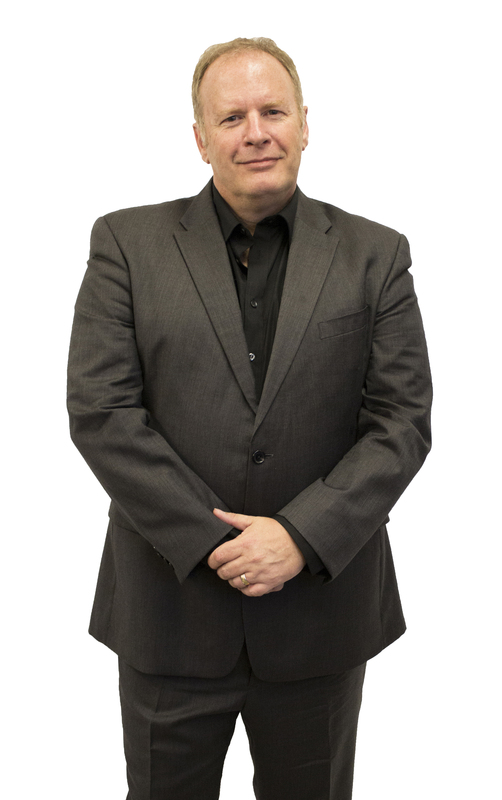 Combining the delivery of a polished corporate comedian with a business background and education, Andrew provides a fun and informative 30-minute interactive presentation that combines comedy and valuable customer service information. Each presentation is tailored to incorporate key principals of the organization or specific messaging if required and an outline of the presentation is always made available in advance of the session for management to review and approve. Andrew is an accomplished comedian and award-winning radio personality who has spent the past 25 years with a microphone in his hand. He has a Masters of Business Degree and an undergraduate Bachelor of Commerce degree specializing in marketing and customer service. Prior to becoming a comedian, Andrew was in senior management at several companies in the steel, transportation and service industries. He was previously the producer of the “Laughing for Cancer Benefit” which raised $1 million for the Alberta Cancer Foundation and currently produces The Edmonton Comedy Festival which has been recognized at The Canadian Comedy Awards as the best run small festival in the country. From the person who answers the phone to the Chairman of the Board, Andrew will instill in your staff their value as employees but, more importantly, as representatives of your company. He will provide tools for remaining calm and having a sense of humour when the person they are dealing with has neither. Staff will leave this presentation both entertained, informed and invigorated. They will feel more prepared than ever before to deal with the public in a confident and friendly manner while avoiding the stress of common situations. Andrew is happy to connect with you well in advance of the show to go over technical arrangements and content restrictions and discuss any background information or customization you’d like to have for your event. You will find him to be truly professional, open to your ideas and more than happy to offer advice on the structure of the evening. He’ll arrive well in advance of the time you have him scheduled to perform and will offer last minute tweeks to ensure you get the best possible performance for your group. The testimonials over 20 years of corporate work speak for themselves. Andrew has performed for some of the biggest corporations and charities in Canada. He is a successful fundraiser himself having raised $1 million dollars for the Alberta Cancer Foundation and thousands of dollars for a number of Alberta charities. He can be a valuable resource to discuss live and silent auctions as well as other fundraising tools if your event is a fundraiser. "He was phenomenal and I have received so much feedback from guests who all agree. I would absolutely have him out again, and would recommend him to others (actually, I already have!)." "Andrew was amazing to work with and our crowd loved him. The consensus was that he was the best comedian we have ever had at any event." "One of the greatest entertainers I have ever hired! Catering to both our British and Canadian guests, he was a non-stop laugh box. I watched his show 4 times and still ended up laughing myself off my seat! The Dominican Republic has found a new jewel for its comedy club." "Andrew was recommended to us by some of the most knowledgeable people in the industry and his performance left our audience of over 1000 exhausted from laughing." "Hands down the best entertainment we have ever had at one of our events." "Andrew was described to us as one of the best comedians in the country. It did not go far enough to describe his amazing ability as a performer." "Once again a great evening with Andrew. The response from the audience crying with laughter is nothing but a 10-out of-10 in my books. I respect a professional who calls ahead to review event, shows up early, develops a personnel relationship & delivers exceptional service. "